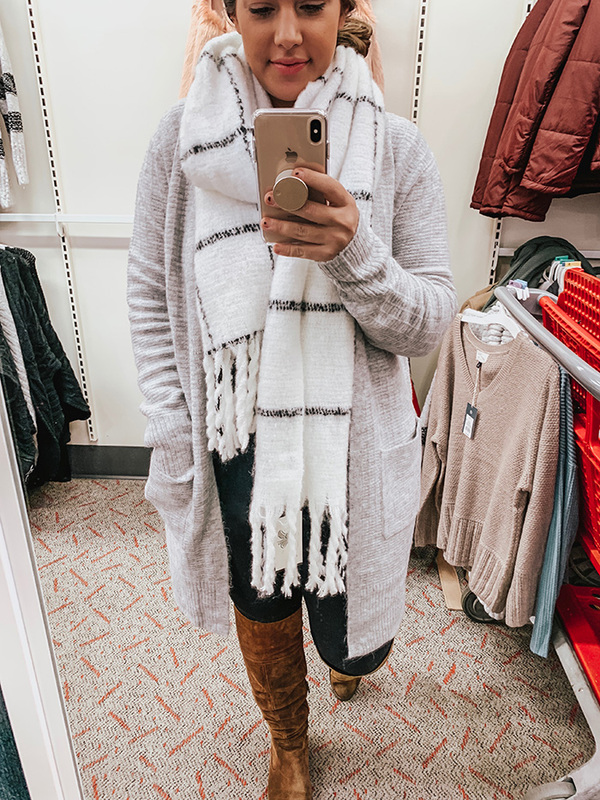 Kennedy and I took a little field trip to one of our favorite stores, Target, to come up with some outfits that are super cute but also won’t break the bank. I love to be comfy on Thanksgiving, because #mashedpotatoes, so many of these ideas involve lots of cozy layers and oversized sweaters for that reason haha. I’m also less than six weeks postpartum, so I’m looking for easy and flattering this year, too! 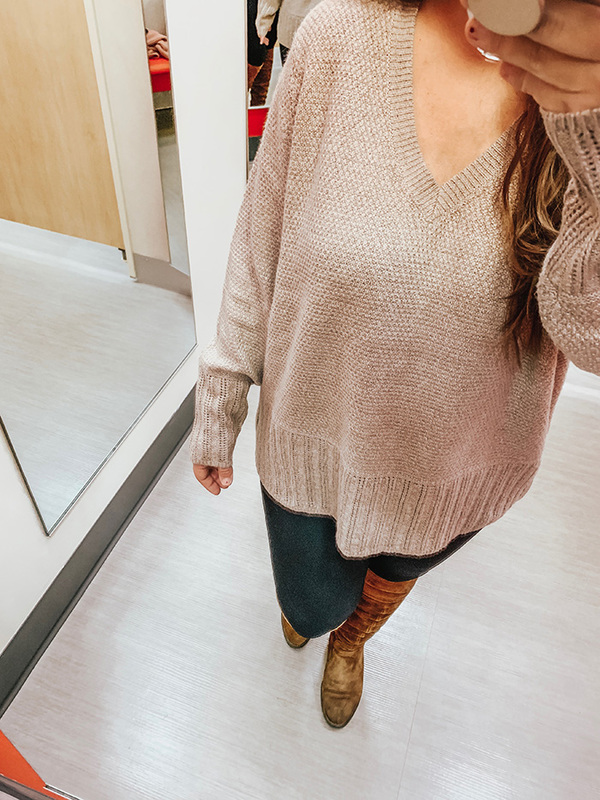 I went into the store wearing my favorite high-waisted leggings and OTK boots (also here), which is why everything I tried on is with those bottoms, but you could easily wear any of these sweaters and tops with jeans or a skirt if that’s more your style! I’ve also included some additional pieces and accessories to each look below to give you more of a finished outfit. You’ll see a theme in many of these looks below: layering tops, a great cardigan or sweater, leggings (easily subbed with favorite pair of jeans) and boots (or your choice of shoe). All you need to add are some fun accessories and you’re set for the day! Who doesn’t love a good buffalo check?! 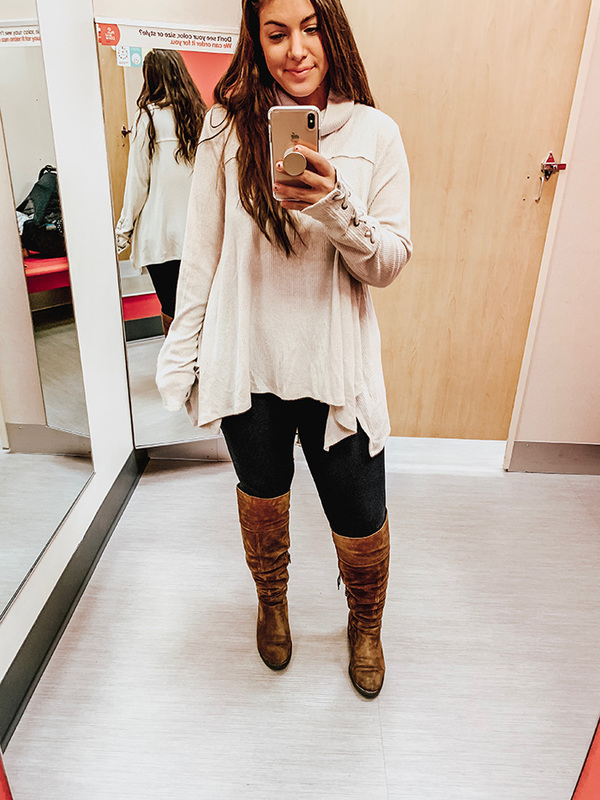 This top is great because it’s longer in the back, giving you a little extra coverage on the booty, which makes it totally acceptable to wear with leggings! This exact top is unfortunately not online at the moment, but I linked up some similar styles here. 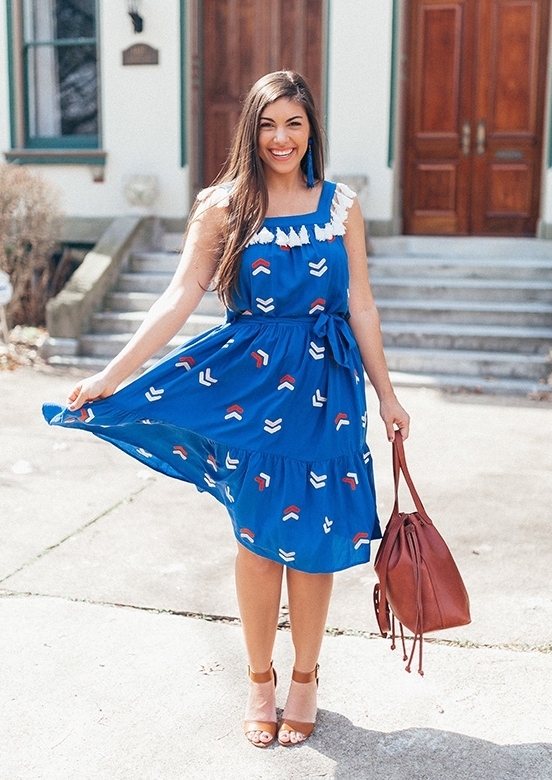 I love the shark bite hemline and think it’s super flattering! I really hope this helps with some inspiration for your Turkey Day look! Thanks so much for the feedback on holiday content, too. If you have more ideas or opinions, please do be sure to share them. Until then, I’m dying to know if you’re team comfy and cozy or team fancy when it comes to how you dress for the holidays? !